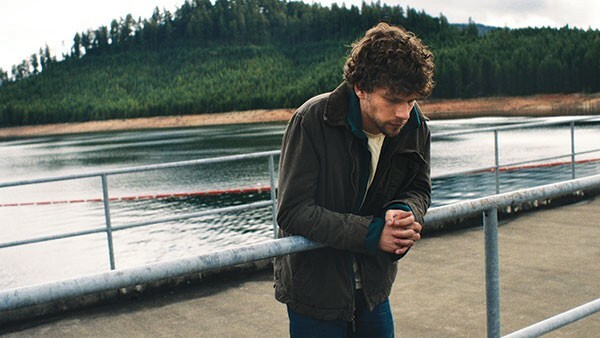 Night Moves is a thriller about eco-sabotage and its aftermath, but it's also a Kelly Reichardt film. So while necessarily plot-driven, it's simultaneously the kind of low-key, almost observational character study you'd expect (and ardently hope for) from the director of the sublime Old Joy, arthouse favorite Wendy and Lucy and provocative, bigger-budget revisionist Western Meek's Cutoff. Josh (Jesse Eisenberg) and Dena (Dakota Fanning) are young activists for whom protest marches seem laughably inadequate to address the global environmental crisis. Drawing on the explosives expertise of Josh's buddy Harmon (Peter Sarsgaard), they plan direct action: blowing up an Oregon hydroelectric dam that blocks a salmon run. The film's first half is substantially a procedural, but in Reichardt's hands it never feels that way. There's the drama, for instance, of acquiring ammonium nitrate for a speedboat-borne fertilizer bomb. Yet characteristically, Reichardt and long-time writing partner Jonathan Raymond are equally concerned with exploring characters through meaningful silences. Key background information often appears almost casually, in a lone line of dialogue. And symbolic resonances — like a scene with a dead pregnant doe on a roadside — abound, as do such deadpan ironies as can be found in a suburban mansion stocked with nature videos, or a wordless sequence in a mountain-country landfill. Reichardt's visual style, meanwhile, remains unassumingly eloquent. Consider the eerie nighttime shot as the bomb-bearing boat approaches the small but imposing dam (which, perhaps significantly, already has a crack in it). Reichardt's characters are always complex and intriguingly inaccessible, and Fanning, Sarsgaard and a brooding Eisenberg give potent performances. If the film's second half is slightly less satisfying, it's because Reichardt moves the target a little: The first half (recalling last year's Brit Marling thriller The East) seems to want us to ask whether such sabotage is moral or effective, while the second act perhaps rigs the game with tragedy. Josh, explaining why he wanted to destroy the dam, says, "People are gonna start thinking. They have to." Reichardt clearly disagrees with the saboteurs' approach (even if she sympathizes with their larger environmental concerns). But what direction would the drama have gone if — spoiler alert — the protagonists had chosen an act of sabotage that didn't risk human life? On the other hand, maybe this otherwise fine film is Reichardt's exploration of the wages of extremism. As in Meek's Cutoff, she demonstrates a healthy mistrust of people who are too sure they know what's right.